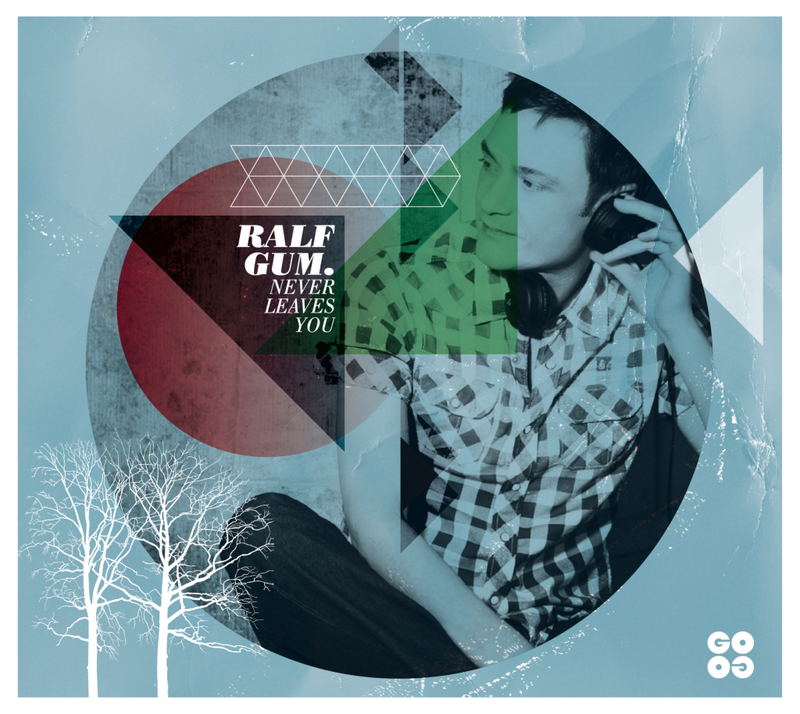 Ralf GUM proves again with his new album that there is constancy – and consistency – to be found in this fast-moving world. In amongst a flood of half-baked, plastic-sounding music, his soulful sound almost seems like an anomaly. “Never Leaves You” is testament to the fact that Ralf GUM has stayed true to his roots and his particular, well-honed style. Never one to skimp on the perfection of his arrangements, or sacrifice artful production to follow the latest trends, this album is his opus. Since the start of Ralf GUM’s musical career, he’s tirelessly praised the importance of real songs, as opposed to simple, dancefloor-oriented productions and his new outing is homage to “the song”. While many categories and styles could be foisted on it as a description, “dancefloor soul music” is probably the best summation of the long-player. Featuring an extensive list of top musicians, the music on the album is far from the average programmed dance “track”. The impressive list of vocalists on the record means that, while it’s absolutely dancefloor-relevant, it’ll also warm the hearts of home listeners. These include some huge-hitters, such as two-time Grammy Award-winning British R&B and soul singer Caron Wheeler. Monique Bingham (with whom Ralf recorded “Kissing Strangers” in 2008 – the best-selling house track of the year on Traxsource) proves on “Take Me To My Love” that she’s still the first lady of deep lyrics in House music. Oluhle born in Zimbabwe and won the Zimbabwean Achievers Award for Best Female Artist in 2011, really makes her presence felt in such royal company. Ditto Canadian Jaidene Veda, who’s already seduced a number of heavyweight producers and countless listeners around the globe with her breathy voice. The male faction of singers includes “the voice of house music”, Robert Owens, who features on “Fly Free”. Furthermore, “the king of Gospel House”, Kenny Bobien, contributes two songs to the album and Kafele delivers his second joint outing with Ralf, following their highly successful 2010 release “Complicated”. In addition to these, Ralf GUM has recorded with one of France’s finest voices Jocelyn Mathieu, who gained fame for his releases on Vega Records and collaborated with highly talented soul singer, Jon Pierce. The title of the album says much about Ralf’s current situation and state of mind. He recently moved to the epicenter of House music, South Africa, and is deeply in love with the country and its sizzling music scene. Feeling inspired by it, he wishes to inspire the SA scene in return by lending his support, knowledge and skills. This album is a big gift back to South Africa: ten songs in which there’s much to hear and feel. The music abounds in soul; it’s jaunty and deep simultaneously. Combining traditional and contemporary elements whilst still being futuristic, it’s well crafted enough to “Never Leave You”. 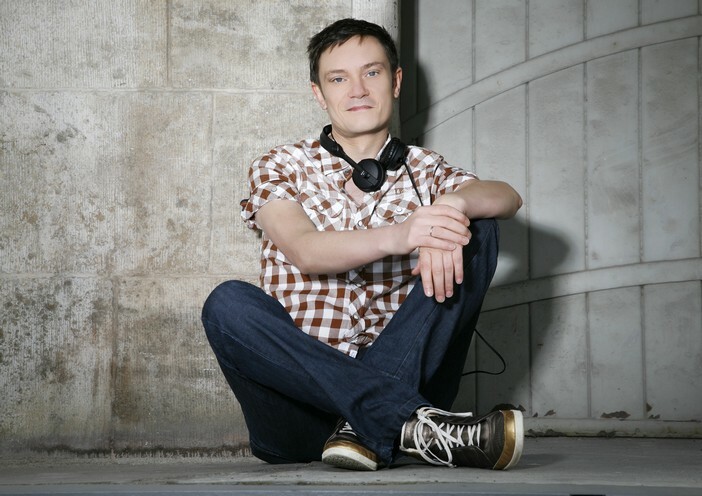 The house music world has many great top-notch producers, Ralf Gum is amongst them for me and the type of house music I love and creatively that grabs my attention, he does so perfectly. The kinda music he gives to us, is worth listening to and warming synth sounds and hectic drum kits, while his right-hand-man Phil Kullmann A.K.A. Raw Artistic Soul on the guitars. I’m delightful to be a biggest fan. BEING LISTNING TO RALF ON HIT REFRESH THE PREVIOUS WEEK ND HE IS HOT, ON POINT NEVER LEAVES YOU WITHOUT GIVING US A HIT TO SING EVERY DAY ND BY THE WAY WERE DO WE GET THE ALBUM? THANKS RALF YOUR MUSIC INSPIRE’S ME BUT WHEN R U COMING TO KLERKSDORP? The album is available in major music stores. Dope Album Ralf keep up da gud work *wink*.